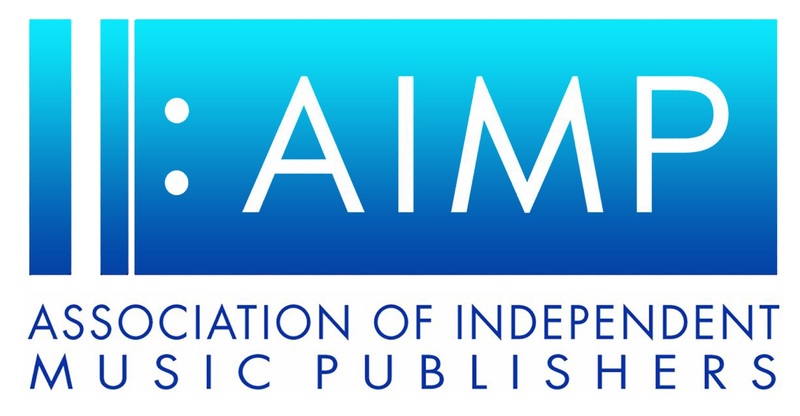 The Independent Music Publishers Forum (IMPF) have released a new statement on 5 August from IMFP President Pierre Mossiat in response to the USA DoJ closing of the antitrust division’s review of the ASCAP and BMI Consent Decrees of 4 August. The Association Of Independent Music Publishers (AIMP) is extremely disappointed with the DOJ’s official announcement yesterday regarding their decision on no changes being allowed to the ASCAP and BMI consent decrees and the enforcement of 100% licensing as opposed to fractional licensing which has always been the norm. Once again, the DOJ has failed to take into consideration the innumerable comments from not only songwriters and music publishers (and their representative organizations) but also our own Copyright Office. We fully support all legal and legislative efforts announced yesterday to be undertaken by BMI and ASCAP to protect our fellow publishers as well as all songwriters and composers. The DOJ has inserted themselves into our business where they don’t belong and it has both domestic and international ramifications. As stated in our previous July 12th joint statement with the CMPA and A2IM, 100% licensing is 100% wrong. In ancient Rome, emperors gave free entertainment to the masses called “bread and circuses” to keep the attention of the people diverted. That worked out well for the emperors…until bread and circuses produced Sparticus. On July 5 and 7, 2016, SONA members participated in conference calls with the US Department of Justice to hear a statement regarding the Antitrust Division’s ruling on their 100% licensing scheme. During subsequent Q&A sessions, songwriter organizations were invited to register questions or concerns by submitting comments to the DOJ. We appreciate the opportunity to do so and because the DOJ has taken the unusual step of keeping the comment process private, we are releasing our statement to ensure that SONA’s opinion is a matter of public record. In a finding panned by songwriters and publishers, the U.S. Department of Justice on Thursday unveiled its recommendations to leave unchanged the consent decrees governing licensing rules for performance rights organizations ASCAP and BMI. Instead, the DOJ asserted a new interpretation that the decrees require 100 percent licensing. The performance rights organizations vowed swift action: BMI plans to sue while ASCAP announced it will work on new legislation in Congress, the group said. Under 100 percent licensing, or “full-work licensing” as the DOJ calls it, ASCAP and BMI must convey to their licensees — radio and television stations, bars, digital music services and others — the ability to publicly perform all songs in their repertoires without the risk of copyright infringement. Full-work licensing applies even if ASCAP or BMI only represent a small fraction of a song’s copyright. A single song often has multiple publishers and writers, who each own a portion of the copyright. The performance rights organizations, which handle licensing for when songs are played on the radio, performed at a music venue or streamed by a digital service, preemptively criticized the DOJ last month. They said full-work licensing would throw into chaos the common-place practice of co-writing a song. Critics say songwriters may not want to write with a fellow writer represented by a different performance rights organization as a result. The below statement has been issued by NSAI Board President and songwriter, Lee Thomas Miller on August 4, 2016. “I cannot emphasize strongly enough how ludicrous this DOJ ruling is. NSAI has had multiple conversations and meetings with the DOJ. When I met with the assistant Attorney General, who is behind this, I graphically explained to her and her team the damage that the current, archaic music licensing and rate setting process is having on the songwriters. I then told her that her 100% licensing plan will threaten the last stream of income we have. I am disgusted that they are proceeding with this hostile attack against the smallest business in America- the songwriter. Please know that we at NSAI will not be silent. We do not accept this. Songs do not fall out of the sky. They are created slowly through years, sometimes decades, of life experience and pain and joy and hope and practice and failure and a tireless dedication to the learning of a craft that gives birth to a multi-billion dollar industry, an industry which would not exist without the songwriter. This is not a third world country where the government can impose unjust rule over members of the working class. We pay taxes. We generate commerce. We establish, drive and change culture. MTP posted a copy of the “promotion” letter from BMI to the BMI rate court judge in anticipation of suing the Obama Justice Department. Washington, D.C. – NMPA President & CEO David Israelite today released the following statement in response to the Department of Justice’s decision regarding the ASCAP and BMI consent decree review. “The Department of Justice (DoJ) has dealt a massive blow to America’s songwriters. After a two year review of the consent decrees that govern ASCAP and BMI, career lawyers who were never elected nor confirmed to their positions, led by a lawyer who previously represented Google, determined that songwriters should have even fewer rights, less control over their intellectual property and be treated more unfairly than they already are. The Department ignored the voices of copyright experts, members of Congress and thousands of songwriters and delivered a huge gift to tech companies who already benefit from egregiously low rates. “The interpretation that the consent decrees demand that all works must be licensed on a 100 percent basis is both unprecedented and disastrous to the songwriting community. The decision represents a misunderstanding of copyright law and directly violates the legal guidance given by the Register of Copyright. The defiance displayed by these career antitrust lawyers in ignoring the legal opinion of the Register of Copyright is shocking. About the NMPA: Founded in 1917, the National Music Publishers’ Association (NMPA) is the trade association representing all American music publishers and their songwriting partners. The NMPA’s mandate is to protect and advance the interests of music publishers and songwriters in matters relating to the domestic and global protection of music copyrights. Learn more at www.nmpa.org.